2013 has been a fantastic year for Club Family Records as it was almost debut since we launched in Autumn 2012. A lot achieved, some great producers had become CFR resident artists - Lost Witness, Igor Dyachkov & U-Jeen, Orbion and N&R Project are among them. More than 40 amazing releases had been out and featured on Beatport and Trackitdown charts numerous times. We are still eager to bring the highest quality electronic music of Trance and House styles to the listeners, as well as finding new and promising talents in the scene, especially from Eastern Europe. The most worthy and popular CFR releases unmixed gathered in The Best of 2013 album, which is a collection of 15 progressive and uplifting track. Names such as Offshore Wind, Witness45, Alex Blest, Adagio Sensus, Essonita and more all feature in this collection. 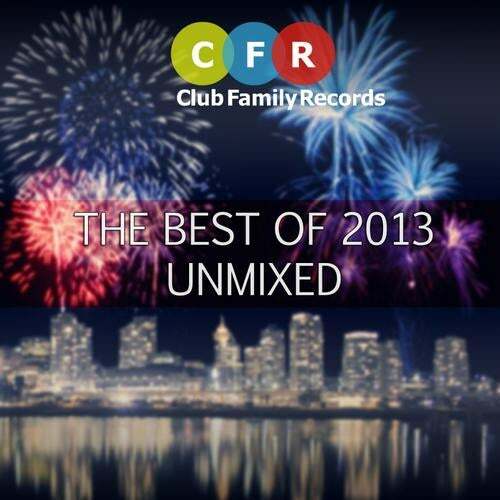 If you would like to know what CFR label is about then The Best of 2013 Unmixed is for you.